Play only after the staging step. 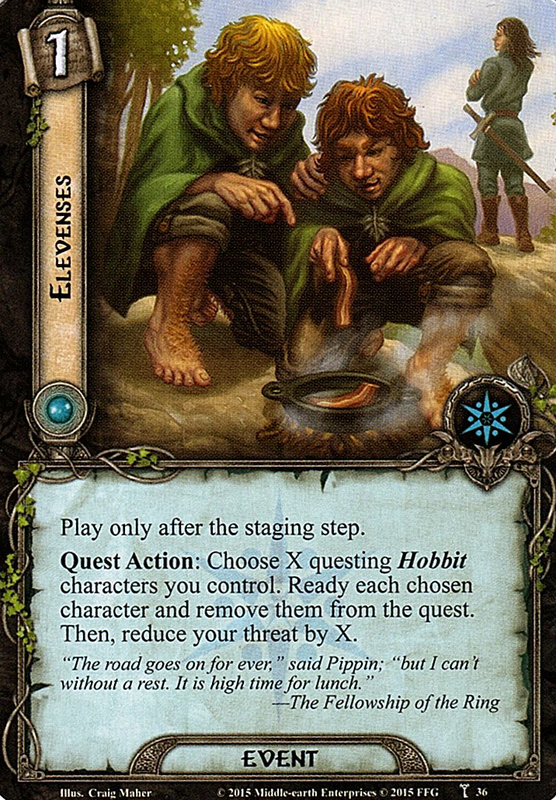 Quest Action: Choose X questing Hobbit characters you control. Ready each chosen character and remove them from the quest. Then, reduce your threat by X. "The road goes on for ever," said Pippin; "but I can't without a rest. It is high time for lunch."